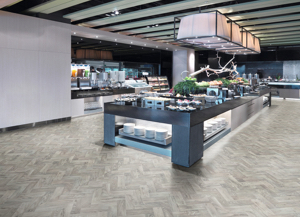 Combining sophisticated designs with superior performance, heterogeneous floorcoverings are ideal for both commercial and residential installations. 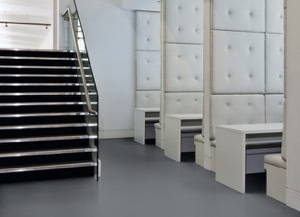 Our collections offer a wide decorative choice, a highly abrasion resistant vinyl wear layer and the low maintenance performance of polyurethane reinforcement. The floors can also be hot or cold-welded, creating a continuous, impervious surface ideal for hygiene critical areas.